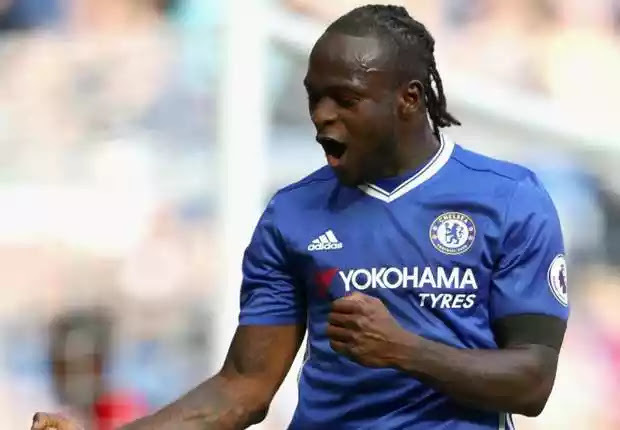 Former Nigerian international, Garba Lawal has explained Victor Moses’ exclusion from the final three-man shortlist for the African Player of the Year 2017. The former left winger said Moses’ persisting injury problem was responsible. Moses was left out of the race for the individual accolade at the expense of Egypt’s Mohammed Salah, Senegal’s Sadio Mane and Gabon’s Pierre-Emerick Aubameyang. The decision by CAF has met a lot of questions as the 27-year-old helped Chelsea to the English Premier League title in a resurgent 2016-17 season. Moses also played a key role as Nigeria booked a place in Russia 2018 World Cup ticket. Lawal told Goal, “Salah was a fantastic player, scoring 14 goals already for Liverpool. He has won the BBC African player of the Year and playing week in, week out. “Mane is doing okay too, likewise Aubameyang. All these three are doing fantastic football at the moment too because those contending with him are in form and made it really tough for him. “Moses was in great form last season but the injury gave him no chance. I believe this was his time seeing his great form last season but when I saw Salah was also coming up, I knew it will be really difficult. “As a footballer, when you have an injury, in football it is going to be difficult to recover quickly and compete strongly. I believe if four players were to be shortlisted, Moses should have been part of them. It is not easy playing consistently for a top team and luck been injury free. “In the German Bundesliga too, Aubameyang is scoring a lot of goals for Borussia Dortmund and currently still in a very good form. “It has been a long time that a Nigerian last won it and missing out again is very disturbing! This time, we thought the form of Victor Moses for Chelsea from last season would see him win it so easily,” he continued. “But with what we are seeing now from Sarah and Mane, it is really very tight. If you will put the achievement and form of those players against each other, you will see the difference.